Facebook is releasing a redesigned version of Messenger today that attempts to put the focus back on your chats. 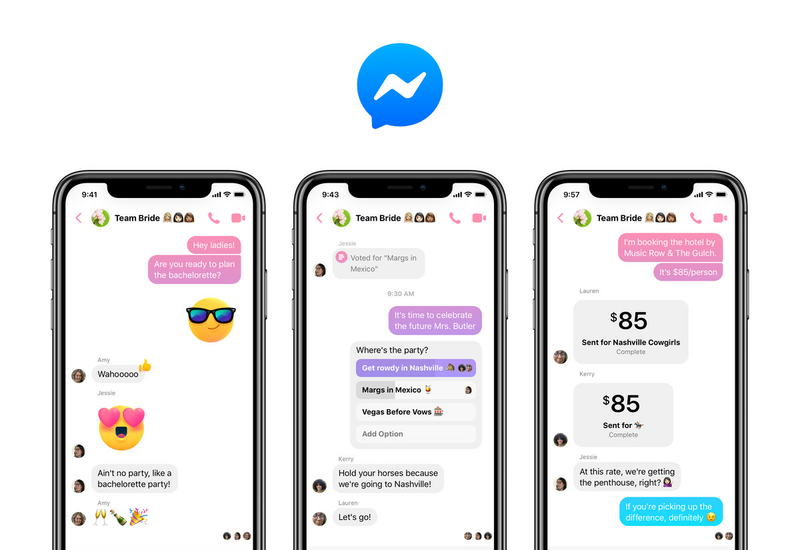 After years of revenue-focused expansion into bots, games, payments, and other distractions, the company is bringing Messenger back to basics. While all those extra widgets are still present in the app, they’ve mostly been hidden away in spots where you can safely ignore them. 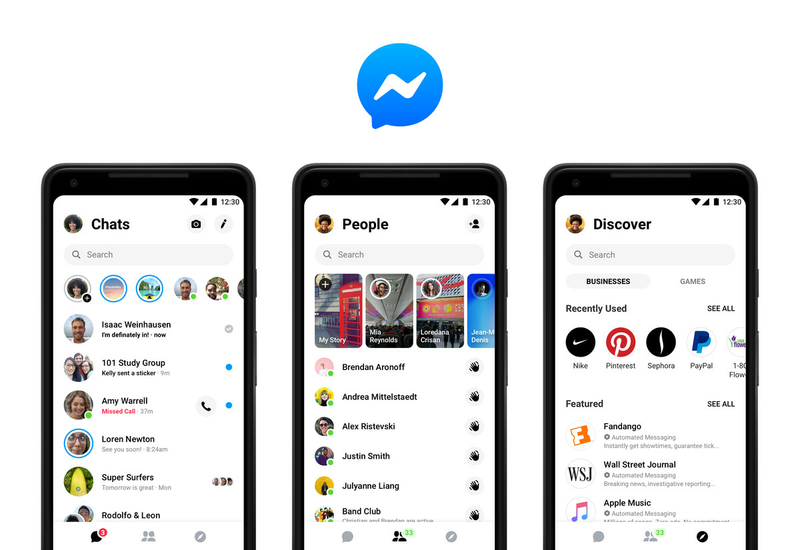 The new Messenger still promotes its business objectives throughout the app, but on the whole it’s a welcome return to a time when the app was first and foremost a lightweight utility. It’s worth talking, briefly, about just how complex Messenger had become. There were tabs for games, for people, and for businesses. There were tabs for your friends who currently had the app open, for your groups, and for your past calls. The button for starting a new text message had become a tiny square next to the search bar, while the most prominent real estate was reserved for a button to take photos and videos. Messenger had a version of ephemeral stories called Day, which it bolted on top of your chats. Every time you shared a private photo, Messenger suggested that you to post it publicly. (I did so multiple times — on accident.) Day was eventually killed off in favor of cross-posted Facebook stories, but the bad taste lingered. Messenger was born as a simple way for Facebook users to send messages to one another while they browsed it on the desktop. But in 2014 it spun Messenger out on its own as a mobile app, bringing on former PayPal president David Marcus to run it. Facebook executives took notice of the outsized success that China’s WeChat had in becoming a digital wallet and identity system, and set about trying to mimic it. I’m sympathetic to the challenges faced by the Messenger team. Their goal is to build a large business around the commoditized (and expensive to run) world of messaging apps. It’s a difficult thing to do — ask Snap. Moreover, while users may complain generally about Messenger’s feature bloat, the app is used by more than 1.3 billion people a month. At that scale, every feature is used by many millions of people. That makes it extremely difficult to axe features altogether. But something had to be done. 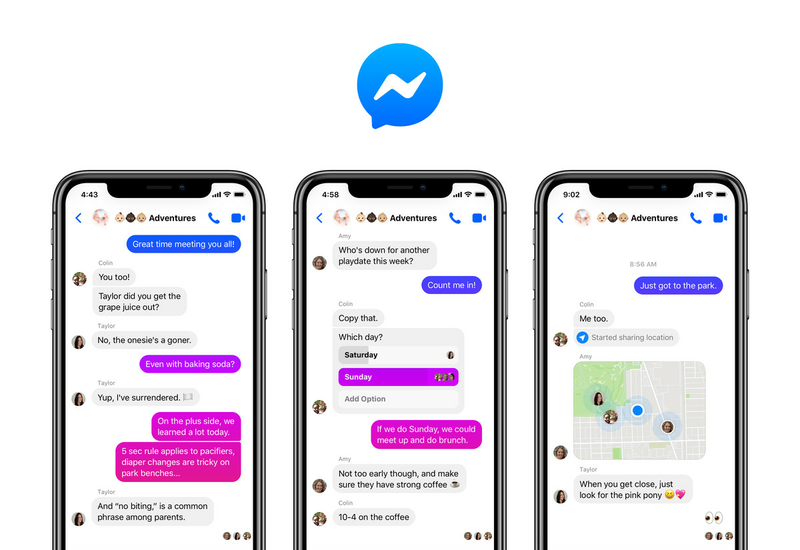 When Facebook surveyed its users recently, 70 percent told the company that the most important quality of a good messaging app is its simplicity. With that in mind, Facebook went back to the drawing board — and where it couldn’t eliminate features outright, it tried to consolidate them. The new Messenger, which Facebook previewed in May at its developer conference, consolidates what once occupied nine tabs into three. It still feels mostly familiar. 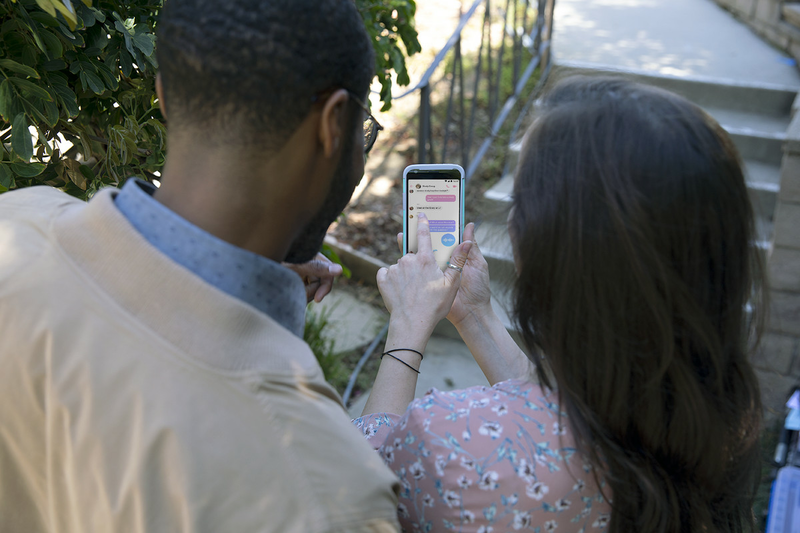 The app opens to your chats, just as before. The design makes slightly greater use of white space, though you can still see the same number of chats on a single screen (six). The big photo / video button on the bottom is gone; it has been replaced by a smaller camera icon next to the icon for sending a new text message. The final tab is called “discover,” and it’s where you’ll find businesses and games in a section labeled “for you.” In theory these are personalized, but in practice I have found them irrelevant. My top suggestion is a business that invites me to “Discover the secret to learning English” — a rather harsh critique of my work. There are also insurance companies, cleaning services, games, and a variety of bots that you can invite to interrupt you throughout the day with news, sports scores, horoscopes, and other information. Within the discover tab there’s a secondary tab called “businesses” that features a directory of brands. Along with consolidating tabs, the Messenger team made a handful of tweaks to individual chats. You can now change the color of a chat to be a gradient, so that the color changes as you scroll up and down. It looks great. You can also give anyone in any chat a nickname now, which is useful for trolling purposes. And there’s a nice new gesture for starting phone calls and video chats: just swipe right on a person’s name, and the relevant icons are revealed. In the coming months, Messenger also plans to add a sharp-looking dark mode. I spent the past week using the redesigned Messenger, and I’m a fan of its pared-down look and feel. My favorite era of Messenger arrived just after it spun out of Facebook’s flagship app, when it was basically just a texting app with a growing roster of cute stickers. The redesign takes it back in that direction, marking a rare case when a company retreats from its greater ambitions to focus on customer satisfaction. In practice, the new Messenger isn’t really faster so much as it is streamlined. There’s less of what you don’t want, and more of what you do. It’s a welcome change of pace. Nick Statt contributed to this report.